I know pickled sausages may not sound good, but this recipe is delicious! I picked up this recipe from a Czech friend. The Czech word for the dish is Utopenci; the Germans have a similar recipe called Wurstsalat. I have a photographer friend, Carol Gula, who raises passion flowers then photographs them. Judging from the phenomenal resulting photos, passion flowers are truly her passion. Check out her website and you’ll see I’m right. Years ago, Carol taught me how to make Kallitype photos, an old, traditional process for developing photographs that came along before the type of developing that was common before the digital age descended upon us. Kallis are rich with brown tones and subtle nuances. 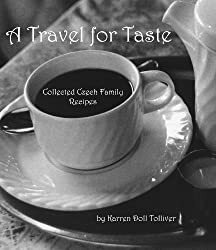 I used a Kallitype on the back cover of my first travel/recipe book, which is about Czech cooking. 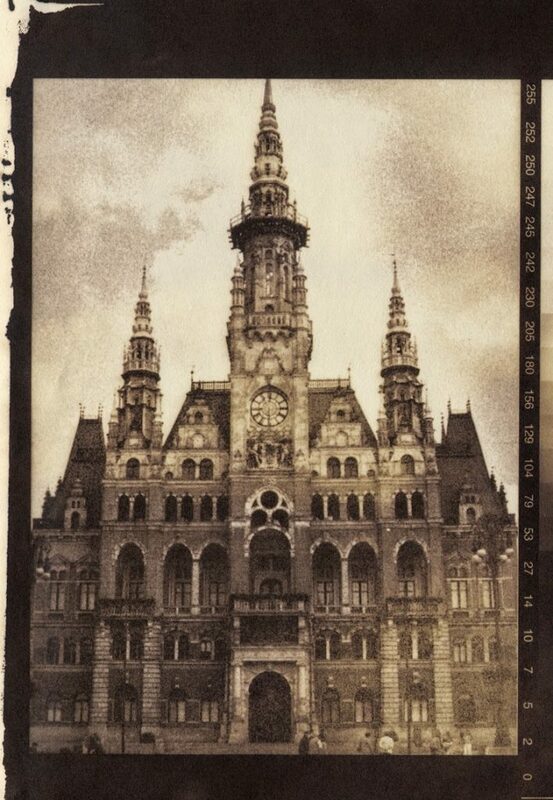 Carol and I rolled into Liberec, Czech Republic, on the train and were met by two carloads of my photographer friends. Our destination: a cottage in a village called Horni Sedlo. The cottage, usually rented to mountain climbers, was in a rural area in the Lusatian Mountains. Every one of the 12 photo club members was there at some point over the weekend, with many of them bringing wives and children along. It was a dynamic group with no shortage of good food and drink. Jirka made a delicious pickled-sausage dish whose name they told us translates as, “People Drowning Under Water.” Later, Carol referred to it as “Dead People in the Water”, which is of course what we call it now. And of course I got the recipe from Jirka, which you see here. At one point I said to Carol that it seemed like Thanksgiving with all the food and kids and activity. She disagreed, saying that it was better because we were all photographers and discussed photography all weekend. And we did. They set up laptops, and photos were projected onto the wall and discussed at length. Dalin and others brought photography books that were pored over. Petr had internet access so Carol was able to show some of her beautiful work online. Simon showed his slides of Florida from his visit last year, which was quite interesting for me and Carol to see what he thought was interesting about where we lived. I’ve had a great life! Anyway, here’s the recipe – enjoy your “Drowns”!